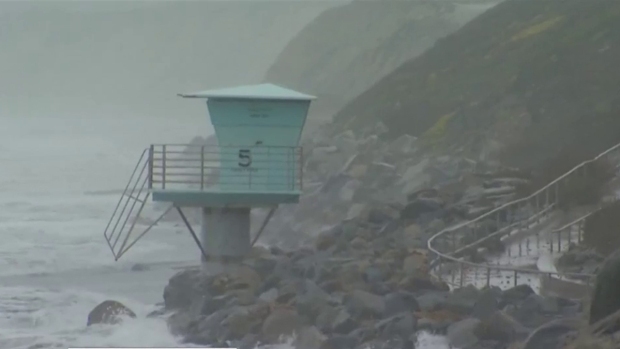 A high wind warning and high surf warning are in effect for San Diego. A high wind warning was issued Friday for San Diego County with specific warning for pilots flying in and out of San Diego International Airport. The National Weather Service just issued an aviation weather warning for Lindbergh Field, from noon to 6 p.m. Operations were normal but individual airlines may change their flight patterns due to weather forecasts, an airport spokesperson said. A powerful storm system arriving Friday was expected to result in high surf and high winds with possible wind gusts up to 35 mph at the airfield west of downtown. Lightening and thunderstorms may also materialize. The high wind warning for San Diego mountains and desert foothills was expected to last through 7 p.m. Sustained winds of 25 to 35 mph can be expected, with isolated gusts to 70 mph. This could topple trees or power lines, and will make driving extremely difficult. 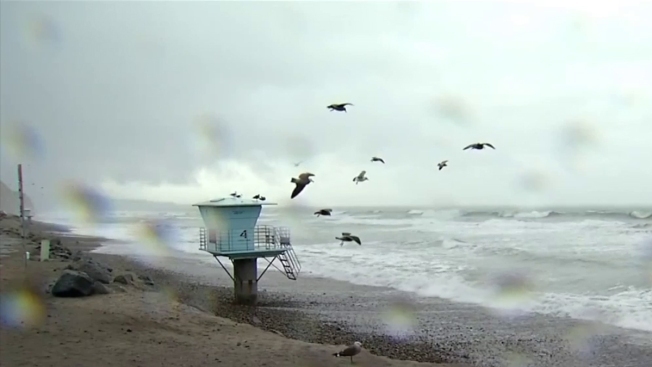 NBC 7's Vanessa Herrera reports from Del Mar and Torrey Pines State Beach as the storm moves ashore. There is a chance of mainly light showers. After 10 a.m. Friday, there is a chance of thunderstorms, which could produce heavier rainfall and even small hail. "The storm will clear quickly, Friday evening, paving the way for a mostly sunny (but still cool) weekend," NBC 7 Meteorologist Jodi Kodesh said. "Late Sunday night, and into Monday and Tuesday, we have another shot at some rain." All of the action in the Pacific, has caused abnormally high waves and strong rip currents. A high surf warning was in effect until 4 p.m. Sunday. Surf as high as 5 to 9-feet is expected with sets of 10 to 12-feet south of Oceanside. The highest surf will be Friday afternoon through Saturday morning. A coastal flood advisory was in effect until noon Sunday. Low lying areas along the immediate coast, may experience flooding. This includes Imperial Beach, south Mission Beach, La Jolla Shores, Cardiff and Oceanside. 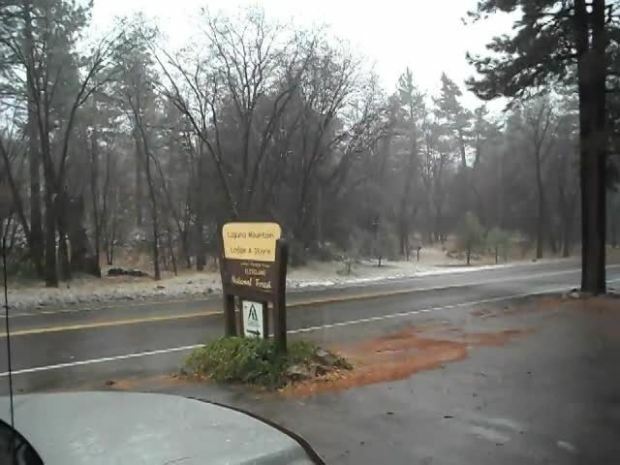 Video sent from Laguna Mountain Lodge with the message: "12-11-15, Noon. Temp: 35, SNOWING! Thanks,John McWay Tom McWay"
Stay on top of the changing weather by downloading the free #NBC7 mobile app. If you have the app, you'll want to upgrade to our new version and select weather as your home page.